Gavin Wilkins has worked in the IT industry for over 30 years. After training in formally provable software he worked for 13 years as a consultant for PA Consulting, specialising in real-time software development for industrial applications in the manufacturing, automotive, and telephony sectors. 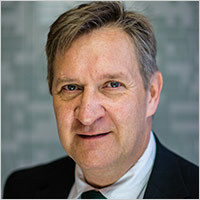 In 1996 he moved to the BBC where he was the Head of Server Strategy, implementing large-scale change across the Server Infrastructure and installing large-scale SAN systems. In 2000 Gavin moved to Harvey Nash to run the Infrastructure and Operations team and has watched the company grow from a $500m to a $1B company. He now leads the IT function across the Harvey Nash Group, which has 2,500 staff across 30 countries.